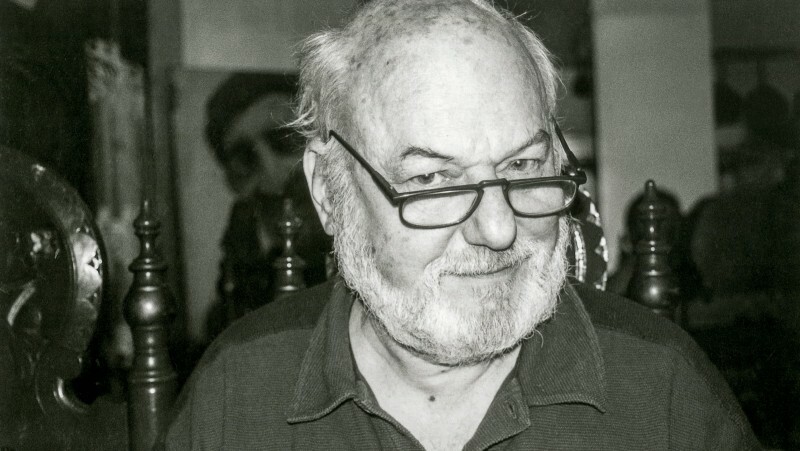 When John Grierson, the Scotsman whose absolute devotion to realism on film—he coined the word documentary and created the National Film Board of Canada—was asked how he’d enjoyed a screening of a now-lost Josef von Sternberg film called The Sea Gull, he recalled it only as “a strangely beautiful and empty affair—possibly the most beautiful I have ever seen—of net patterns and hair in the wind.” These fragmentary and strictly visual recollections (all the more evocative if imagined in Grierson’s buzzing, clicking Scots accent) somehow tell us everything we need to know about the picture, and perhaps about why the movie’s producer and patron, Mr. Charlie Chaplin, buried it so that it could never again be seen by human eyes. It also goes some way toward explaining my own love for this “small, dumpy man with flowing, sandy hair” (so described by B. G. Braver-Mann) and his seemingly endless supply of decadent imagery. Grierson named some choice examples, but lodged like nettles in my brain stem are oily rills of river water, banyan-tree mustaches, soldiers trudging through the salt drifts and shimmering heat of a SoCal Russian front, and the monster-truck physique of George Bancroft. (You will notice I haven’t mentioned Dietrich in this litany—I don’t think I dare.) But Braver-Mann, who was writing for a 1934 issue of Experimental Cinema, leveled accusations of more than mere dumpiness at von Sternberg: the Viennese pictorial wizard was, he huffed, “a director who concentrates on surface effects . 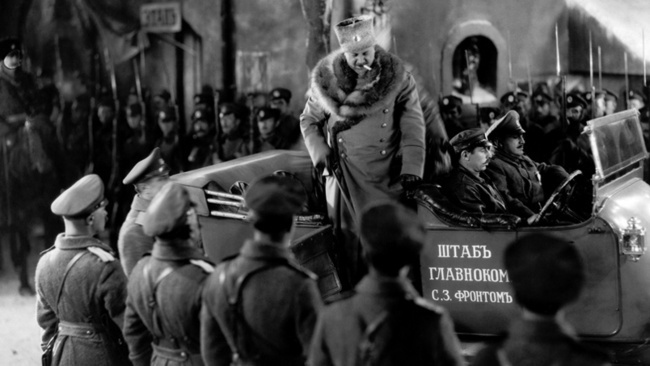 . . and represents his own delirious fancies as real life.” Von Sternberg is dead now, so I will say it for him: bingo! Braver-Mann, grumpus though he may be, hits the nail on the head, and I for one fail to see any problem in his conclusion. The funny thing is, von Sternberg started out as one of Hollywood’s greatest champions of realism—or so he would have us believe. “Realism” is sometimes the inevitable result of a barrel-scraping budget, which is certainly what our hero started out with. No elaborate sets for him; no time to artfully compose multilayered shots. Like any contemporary independent filmmaker who scrimps and saves and spends the rent on his inaugural effort, who calls in favors he isn’t owed, who exploits his friends and extorts his relations, who pleads, purloins, and pilfers in the mistaken assumption that this, surely, will be the most profoundly he will ever have to debase himself in his filmmaking career, von Sternberg gambled everything to make his first picture. 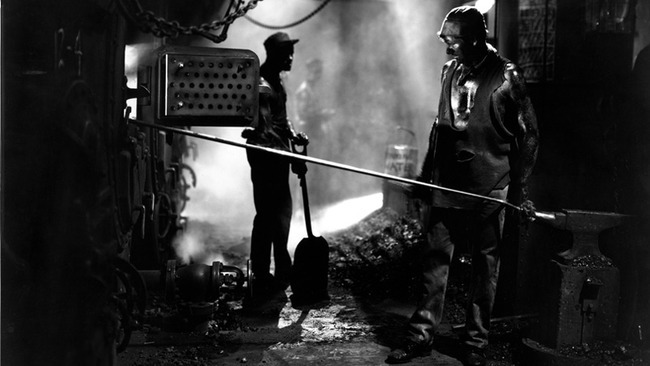 The result, completed in 1925 for the princely sum of five thousand dollars, was The Salvation Hunters, a melodrama set on a San Pedro dredging barge, and when this gently Teutonic tone poem caught the eyes of that legendary triumvirate of United Artists (Chaplin, Fairbanks, Pickford), the mustachioed gallant who’d directed it, and who hadn’t enough money even to buy his own lunch during the shoot, was on his way to fame and fortune. But that road can be rocky, and full of punji-stick-lined drop traps. After winning acclaim for his barge picture, von Sternberg made the movie for Chaplin, and the Little Tramp promptly had it “vanisheed” from the face of the earth. 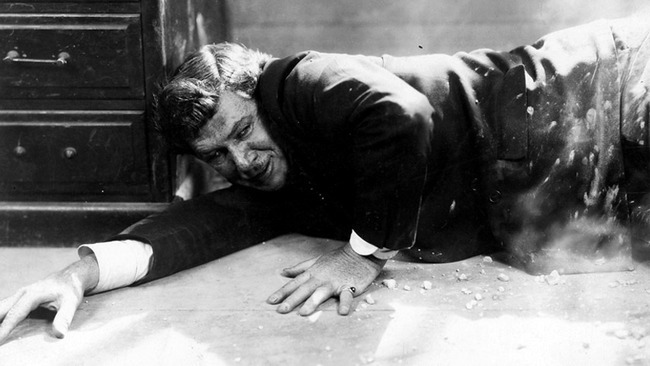 Then von Sternberg was fired from a picture called The Exquisite Sinner—and how many can make a claim like that? (I may start a project of that title just to see if I can get myself fired from it!) Though the phony, imperious “von” had by now been appended to his name by studio publicity flacks, and he might at any rate have been taken for Prussian royalty by his manner alone, he faced more obstacles with his next project, The Masked Bride, from which he stormed off the set never to return. And Backwash, a scenario he wrote for Mary Pickford, found its way into some broken bottom drawer and disappeared forever. This brings us to the case at hand: three feature-length pictures that were not just successfully filmed and released but served to cement von Sternberg’s place in Hollywood and in history as surely as if his tiny palms had been dipped in Sid Grauman’s sidewalk. If you are one of those who thinks of these works as merely the launching pad he used for The Blue Angel and the Dietrich pictures, prepare to have that conception smashed like a shock-dropped monocle. Film directors are magpies by nature, so when I first enjoyed these three Josef von Sternberg pictures, I felt the blanketlike comfort of great familiarity draping over me. Oh, I actually thought, how wonderful that even such a great director as von Sternberg has watched, delighted in, and brazenly stolen from the same pictures as I have. 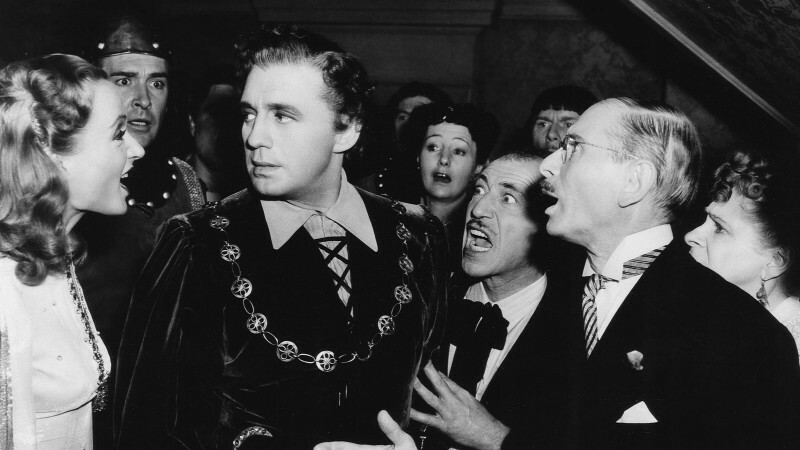 Of course, I soon realized who had been stealing from whom, and that it was not von Sternberg’s fingers that were covered in stickum; but this initial and shameful conclusion has been a terrible horse collar around my neck ever since. By 1927, von Sternberg was in the company of the Paramount boys: the elegant, all-business Adolph Zukor and genial Jesse Lasky. These two—Zukor a diminutive old-world protomogul draped in silken cravats, and Lasky an Edward Herrmann look-alike who had panned gold in Alaska and played cornet in Hawaii, among other pre-Paramount adventures—were, together, the perfect pair to deal with this mercurial megaphone waver. And their lot held plenty of secret treasures: once, wandering the shower rooms among the actors washing the day’s grime off themselves, von Sternberg heard a background player release “a formidable laugh, an inhuman laugh, enormous and savage, monstrous, a child’s laugh and a murderer’s laugh.” This gigglepuss was George Bancroft, and, in a discovery tale I vastly prefer to any story of malt-sucking at Schwab’s, von Sternberg rushed right into the shower stall and cast the naked, roaring gigantopithicus he found there as Bull Weed, the gangster-king of his new picture, Underworld. On viewing the film, it quickly becomes clear that the ability to emit great waves of bellowing laughter would indeed be an advantage in playing the part of Bull Weed, since he seems to do almost nothing else, at least until he is put on death row. Surrounding him like vases in the proverbial china shop are examples of von Sternberg’s visual prowess: here a great electric sign announcing “The City Is Yours!” (a concept reused four years later by screenwriter Ben Hecht for Scarface), there an ah-ooga van traveling at speed and covered with gangsters firing off their hoglegs at pursuing policemen, filling the air with hot lead and great drifts of smoke. 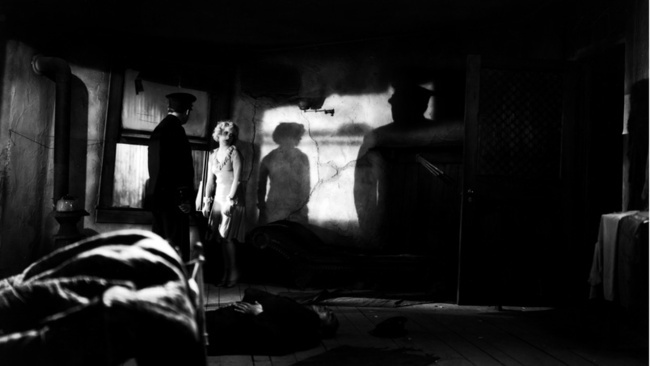 There are frequently magnificent jailhouse compositions in the film’s second half, and a glorious shot of Bancroft finding a gun in a drawer: his back is to us, and we can see only its shadow. 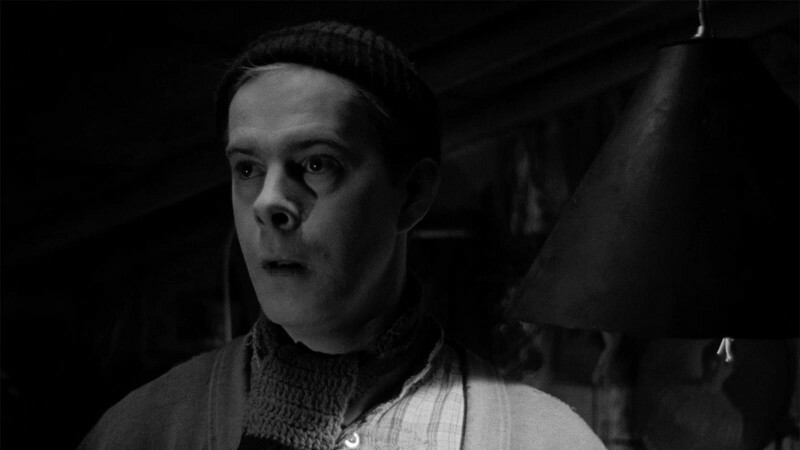 A moment in which Bancroft plunges his catcher’s-mitt-size finger into a bottle of milk to nurse a fuzzy kitten is one I shall relive again and again for the rest of my life, and in the film’s action-classic climax, with the main characters trapped in a tenement and the cops firing wildly from below, we find Bancroft striding through the room as plaster knoblets rain down around him—a fantastic detail only heightened by the lack of sound effects! Shadows, double exposures, and zooms are all used to salutary effect throughout the picture, and Thompson gun smoke curls around the edges of each frame. 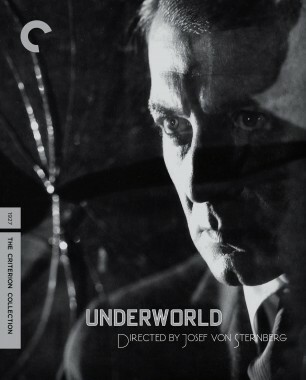 It seems strange, after this litany of eroto-optical delights, to say that Underworld is one of von Sternberg’s more visually prosaic pictures, but it is true. The joy of von Sternberg is that it still looks like a million bucks, and better than almost anything else being produced at the time. And it was a marvelous hit in North America and also in Paris, where it played to packed houses for months on end and always drew applause for that climactic siege. It was a great novelty: a full-blooded gangster picture garnished with surprising splashes of then-recent history. Bull Weed’s great rival, Buck Mulligan, for example, owns a florist shop and is murdered there, exactly as had been the case with real-life Chicago gangster Deanie O’Banion in 1924. Bancroft and his earthshaking guffaw make a welcome return in The Docks of New York, another picturesque picaresque involving Bancroft, his romantic travails, and a bellowing judge sending the big man off to the pokey. But Bancroft is no gangster-king here but a violent stoker on shore leave, whose only possessions are a shiny jacket, a handsome mustache, and a love-’em-and-leave-’em attitude. 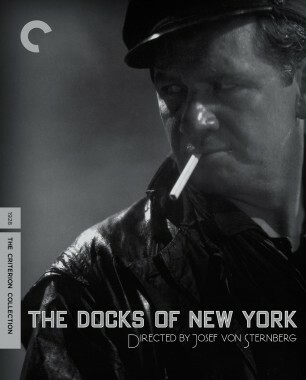 It was with The Docks of New York that von Sternberg finally perfected the calorie-laden imagery for which he is so justly revered. Here is the master, now fully formed, constructing one of his famous environments from which all else—story, characters, and, of course, visual prestidigitation—naturally emerges. Here the net patterns and hair in the wind are matched, finally, by a scenario that is their equal, and that itself could never have come into being but for the imagery that serves it, and that it serves in turn. This question of creative abiogenesis is the essence of the Von Sternberg Mystery we’re all trying to divine—but noticing it is not the same as solving it, and the real chronology of his genius will probably remain unresolved forever. 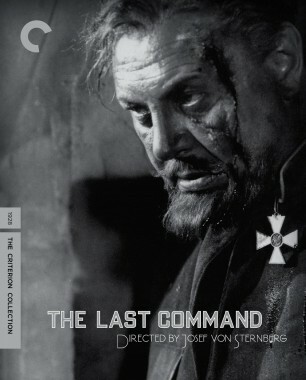 With this mild mea culpa, von Sternberg was done turning out his pockets. Every interview he did after that, until his death just a few days before Christmas of 1969, was a variation on the theme of “I could tell you the secret of my genius, but upon reflection, I prefer it remain a mystery for the ages.” He’s left it for us to work out, that dumpy, dapper rapscallion, but I can hardly blame him. A mystery as insoluble as this is a gift nearly as great as the films themselves.